Building on experience.financial security.peace of mind.for the future. Reduce stress, preserve benefits and create a fulfilling future. 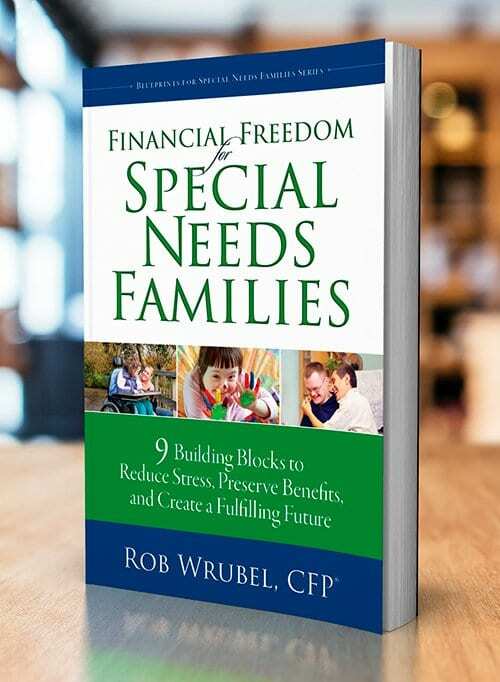 We show you the building blocks to financial freedom for families with a special-needs member. Stay on track with your financial planning! Subscribe for practical information on special needs planning that will keep you motivated, educated and prepared to stay on track with your financial goals. Is the stress of too much debt, not enough money saved for retirement, and lack of a special-needs trust wearing you down? Are you overwhelmed trying to decide which steps to take to improve your finances and care for your family member with an intellectual or development disability? Are you looking to find out what to do and in what order to build a secure and fulfilling future for your family? This website, my books and my work are here to help support families with special-needs members by showing them ways to take time to appreciate today, envision their desired futures and put plans in place to secure benefits, pay off debt, save for retirement and fund a trust. Take charge of your financial and legal life today to ensure the best outcomes possible for you and your family member with a disability. With a little help from Financial Freedom for Special Needs Families you have the resources needed to get moving today. As a father of a child with Down syndrome, and a certified financial planner, Rob is uniquely qualified to help families take charge of their financial future. His personal experience with this specialized type of financial planning has allowed him to make a real difference for families with special-needs members. Families with special-needs members do not plan because they don’t know where to start and are afraid to begin. Financial Freedom for Special Needs Families helps families get started, first by taking time to address their fears and then by taking them through a step-by-step process on how to put the right plans in place to ensure a bright and fulfilling life for the entire family.